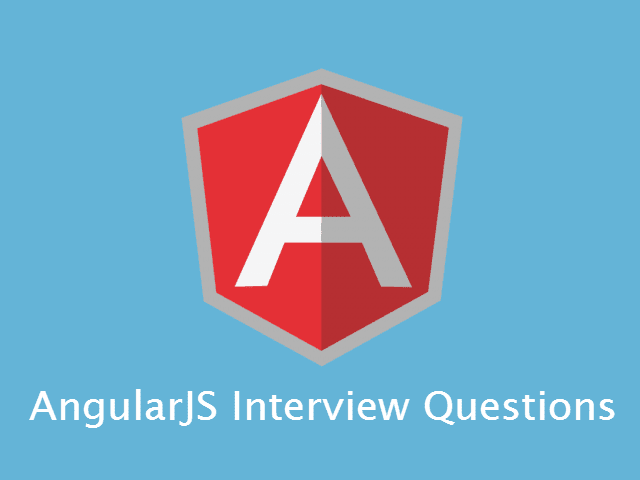 With continuation of AngularJS interview question series, after Part 1 and Part 2, here is list of 3rd set of 10 AngularJS interview questions and their answers. No Control Flow Statements: Loops, conditionals or exceptions cannot be used in an Angular expression. No Comma And Void Operators: You cannot use , (comma) or void in an Angular expression. And You cannot create regular expressions in an Angular expression. Ans: Once you have the markup, the AngularJS needs to attach the functionality. This process is called "compilation" in Angular. Compiling includes rendering of markup, replacing directives, attaching events to directives and creating a scope. The AngularJS has compiler service which traverses the DOM looking for attributes. The compilation process happens in two phases. Compilation : traverse the DOM and collect all of the directives and creation of the linking function. Linking: combine the directives with a scope and produce a live view. The linking function allows for the attaching of events and handling of scope. Any changes in the scope model are reflected in the view, and any user interactions with the view are reflected in the scope model. To understand the compilation process of Angular, must read "The nitty-gritty of compile and link functions inside AngularJS directives". Ans: The $rootScope is the top-most scope. An app can have only one $rootScope which will be shared among all the components of an app. Hence it acts like a global variable. All other $scopes are children of the $rootScope. Since $rootScope is a global, which means that anything you add here, automatically becomes available in $scope in all controller. To add something in $rootScope, you need to use app.run function which ensures that it will run prior to the rest of the app. You may say that "run" function is like "main" method of angular app. In both the case, the postion of $scope doesn't matter to AngularJS. Because AngularJS uses the argument name to get something out of the dependency-injection container and later use it. You will see that the controller "SubCtrl2" doesn't have "message" property define but it is used in HTML. So in this case, the immediate parent scope property will be used. But immediate parent scope which is "SubCtrl" in this case, also doesn't have "message" property. So it again goes one level up and finds the property is present so it uses parent scope value for "message" property and displays it. That completes Part-3 as well. If you have not read Part 1 and Part 2 then do read and keep visiting for upcoming set of interview questions and answers. You can also subscribe to RSS feed, follow us on Facebook and twitter to get the updates about this blog.